WARSAW — On Friday, July 6, Metzger Trucking is hosting a truck show in downtown Warsaw at the July First Friday event. All of the money collected goes to three local charities: Claypool Elementary Boomerang Backpacks program, Warsaw Little League and K21 Cancer Care Fund. 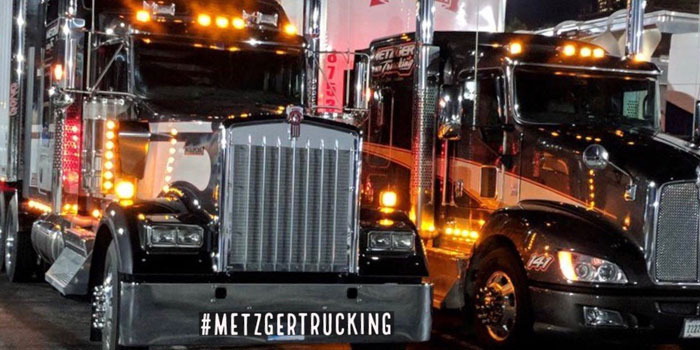 Metzger Trucking Show & Shine is for large and small trucks of all kinds. This includes everything from pick-ups and semi-trucks, to garbage trucks and concrete trucks. Entrants are welcome to show off their truck in downtown Warsaw during July’s First Friday event. Sponsors are invited to set up a booth on the courthouse lawn to showcase their business. This event includes a lot of good music, food, and fun for the whole family. Please contact us to receive more information. E-mail Metzger Trucking’s manager, Susanna Chapman at [email protected] to be placed on the mailing list.